Painter of portraits, genre scenes, landscapes, still-lifes and flowers. 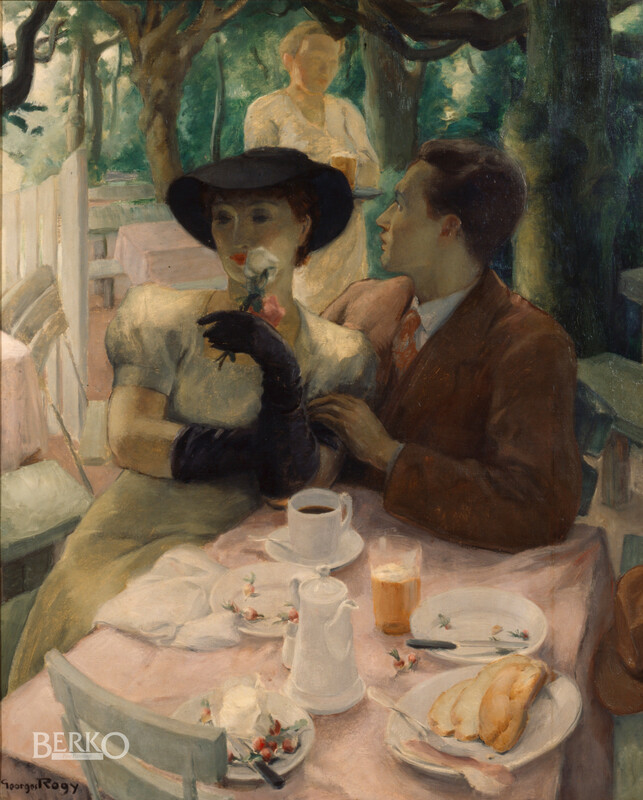 Georges Rogy studied at the College of Arts and Crafts in Etterbeek (Brussels) and exhibited his work at various Salons in Belgium. His two favourite subjects were portraits and still-lifes. He had the audacity in 1957 to present an exhibition exclusively dedicated to portraits. It was an exhibition that few of his contemporaries could have carried out to the same degree of success. Rogy’s art is without conceit and without pretention. His bearing was one of reserve, of modesty, of decency. To paint was a serious matter for him. He engaged on a canvas all of his destiny. He was not one of those who were ‘quickly satisfied’. None of the art critics of his era ever distorted, avoided or conjured his works. They always respected the profound dignity, the purity of craft, the rare poetic delicacy, that brought the canvases of the artist a renown and a good quality that has not altered through time. P. & V. Berko, "Georges Rogy", Knokke 1993, p.115-121.